A small Pagani rally took place at the beginning of September, in occasion of the opening of the new Pagani dealer in London. 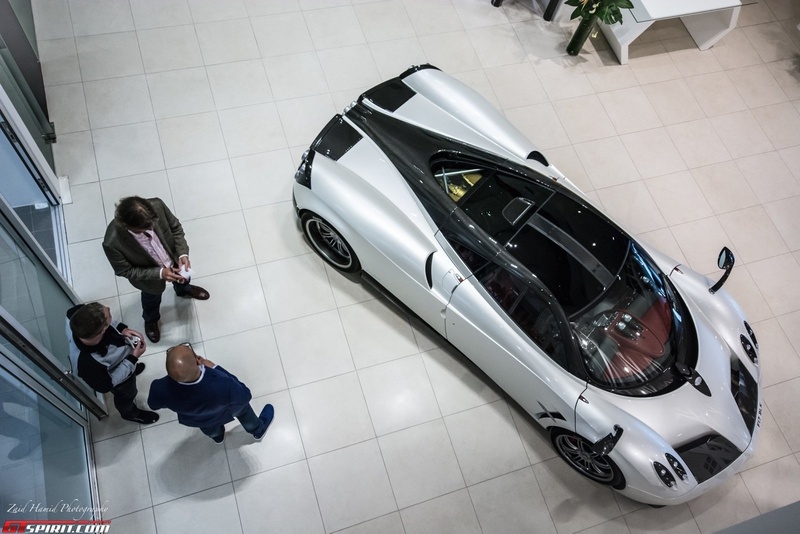 The gathering has started at the new dealership that will be the official Pagani headquarters in the UK, and guests visited the showroom and service centre. The atmosphere inside the building recalls the Pagani factory, with pictures showing the Horacio's work and aluminum lathed parts used for the Pagani Huayra. A stunning Huayra configured with every possible option, Zonda R wheels and painted in the lovely colour named "New York Pearl White" was exhibited at the entrance of the building. That's the Pagani demo car for the UK market, we already talked about this car one year ago, in occasion of the Lovecars Supercar Run to Salon Privé. The famous Zonda Nero was inside the service room, while in the storage room were parked three Huayras (among which the well known chassis #001), a Zonda S painted in "London Grey" (only two cars were painted in this shade of grey, this one and Harry Metcalfe's Zonda) and a "French Blue" Zonda S Roadster, this car is the last Zonda S built. The warehouse has been set up for dinner and all the cars were moved outside to make way for the tables. 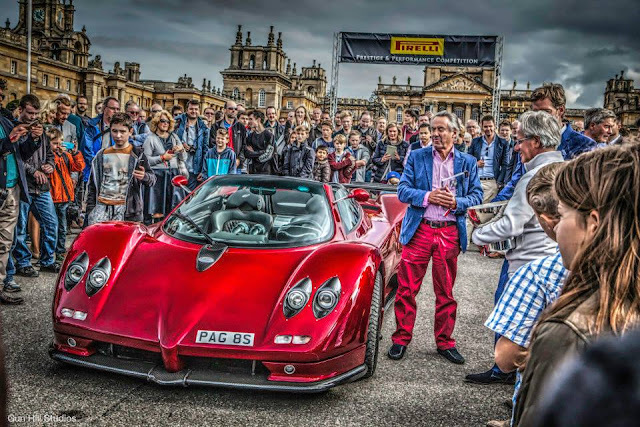 The rally consisted in a 50 miles trip with Salon Privé 2015 as destination, a concours and supercar show held at Blenheim Palace. Other rarities such as a black Porsche Carrera GT, Ferrari F40, Porsche 918, Lexus LFA and another blue Zonda S joined the convoy. 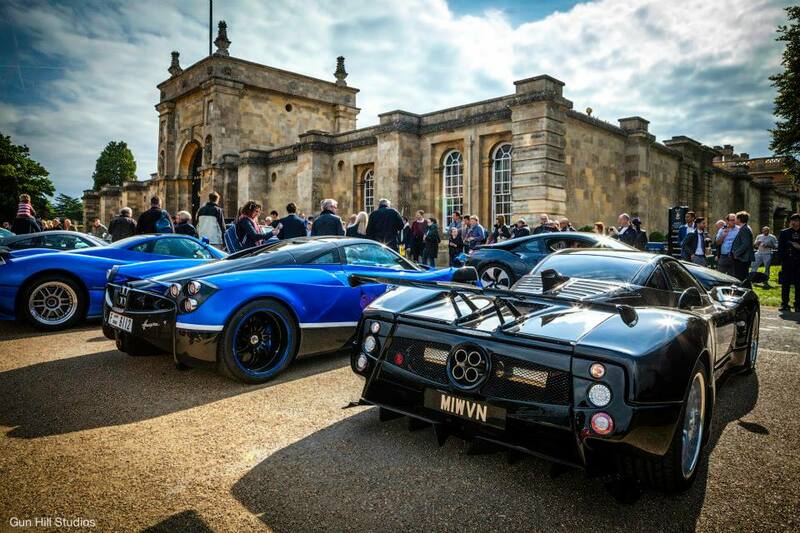 Once arrived at Salon Privé the Paganis have been parked all together. Another Zonda joined the event, it was an S Roadster painted in Dubai Red, this car was owned by a famous Pagani collector and it was also used for official press shots. The people’s choice award was won exactly by the red Zonda Roadster. The award was accepted by the owner alongside Horacio Pagani. The new Pagani UK dealership is vital for the success of the marque, don't forget that not long time ago, UK was the most important country for the Pagani market. I remember years ago, when UK was the most important country for the Pagani market, and dealers like Bob Forstner and H.R. 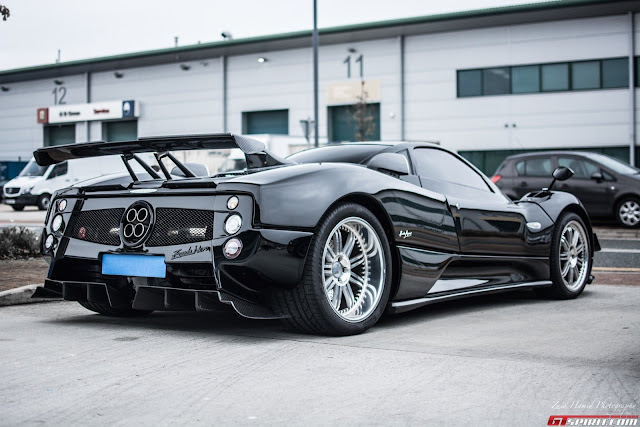 Owen, which had their showrooms always full of Pagani cars. At some corporate events Chicago, things like dance and loud music don't work. But of course, entertainment is necessary, so you can arrange for a standup comedian to keep people interested once the formal event is over.